Hello my lovelies! Can you believe it's Monday again? I sure can't! With all this daylight savings time nonsense I feel more tired than ever today. But Monday is always full of optimism for me because it's a fresh start and the weekend was great so I'm in a good mood today. If you are an F. Scott Fitzgerald fan you may have noticed the reference in the title. This manicure reminded me of this short story and since he's one of my favorite writers I had to mention him. 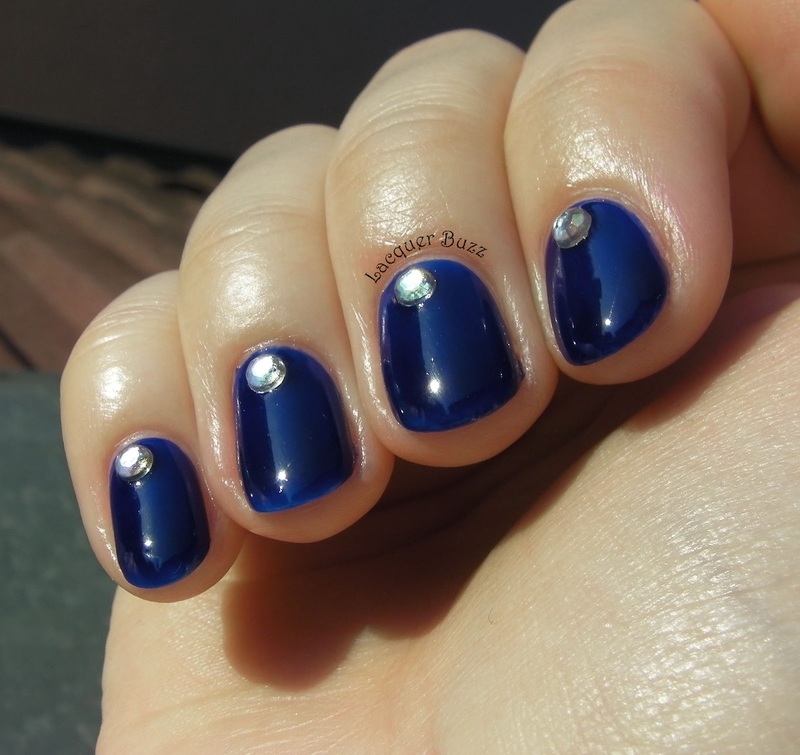 The idea for this manicure started from a box of multifaceted rhinestones that the lovely people from the Born Pretty Store sent to me. They are clear but are cut just like diamonds and they reflect different colors when they get hit by light. You can find them here. The box contains different sizes of rhinestones and I chose some medium sized ones because you know I'm not very fond of bling. 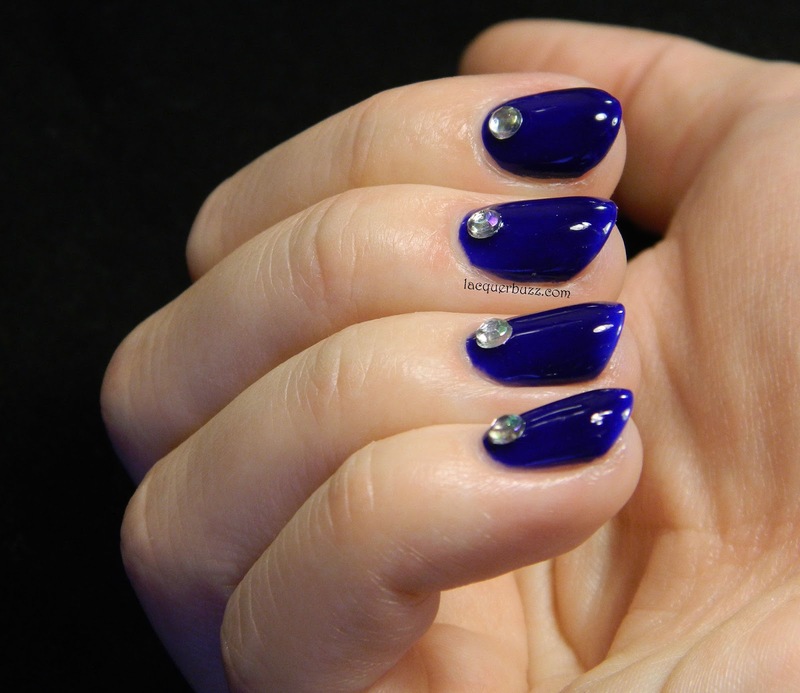 I used two coats of Revlon Royal as a base and placed one rhinestone near the cuticle on each nail. My only issue was photographing the end result. It's very hard to catch the multicolored effect in pictures. I did my best but it's not as good as it looks in real life. 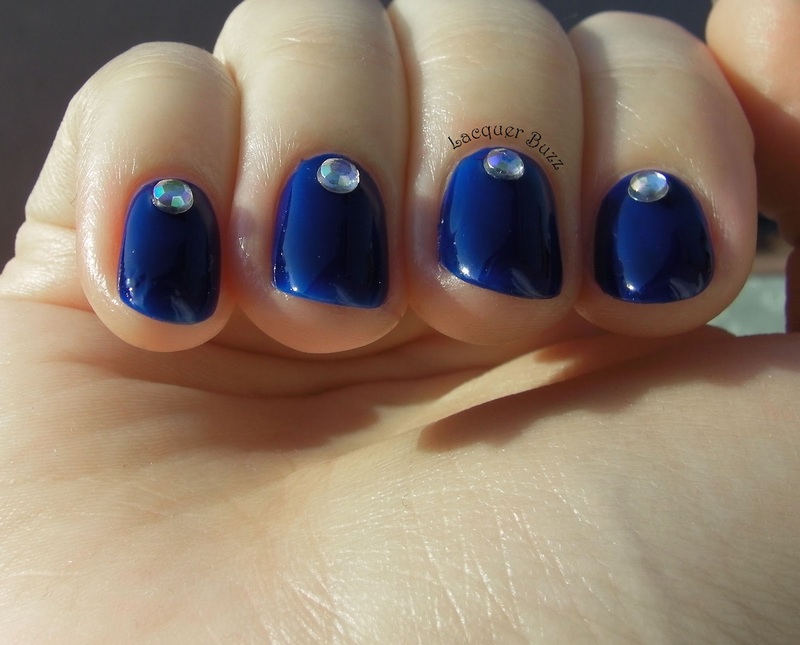 I really encourage you to get these rhinestones because they are great. Make sure you use code MFL91 at checkout to get 10% off your order. And don't forget to check the rest of the Monday Blues in the links below! That blue is so intense! I really like the shiny and squishy look it has too. Simple and pretty! How I love Royal! 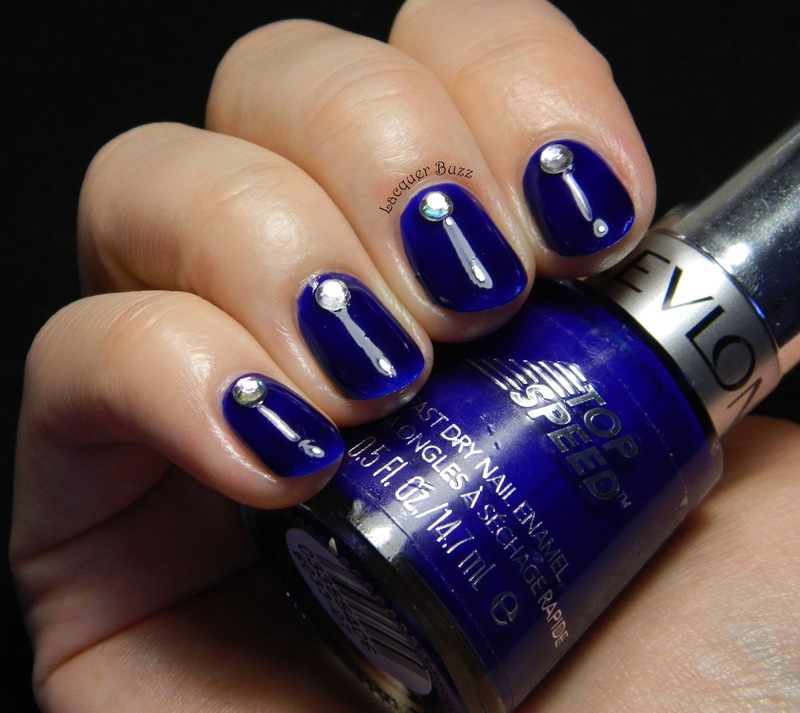 I´ve always loved revlon royal! Very nice manicure!